From the afternoon singles chart on the radio, television broadcasts, mobile phones, to the electronic doorbell – we are invisibly surrounded by the wireless networks and this is exactly what our hobby consists of. During the daytime, we are drivers, teachers, students, policemen, electricians, engineers, professors, retirees and other occupations, but in the evening, when half of the German population is sitting in front of the TV, we are operating our 2M wavelength amateur radio stations and go “shortwave hunting“. Through this activity we get in contact with like-minded people around the world. Radio amateurs are not any particular human species, but technically interested people who are curious and enjoy the pleasure of the unexpected. It’s also about people who have friends in New Zealand and Singapore and obtain “call sign” cards of their contacts, which are interesting to exhibit. Also, some hobbyists who deal with antennas, measuring instruments and the possibilities of modern amateur radio satellites, belong to our club. The maintenance of the station. 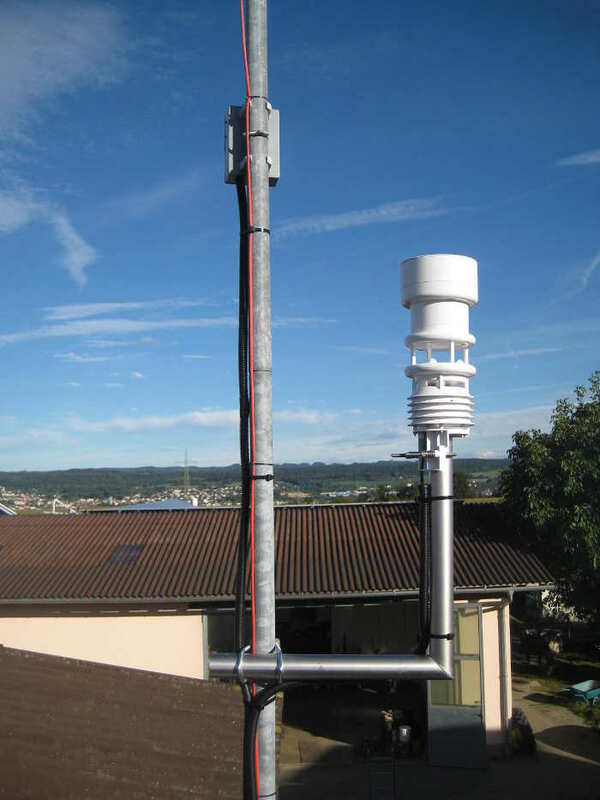 All these obstacles we managed to overcome and have operated the Digital Mobile Radio Relay (DMR) since May 2015 in Berg close to Ravensburg/ Weingarten. 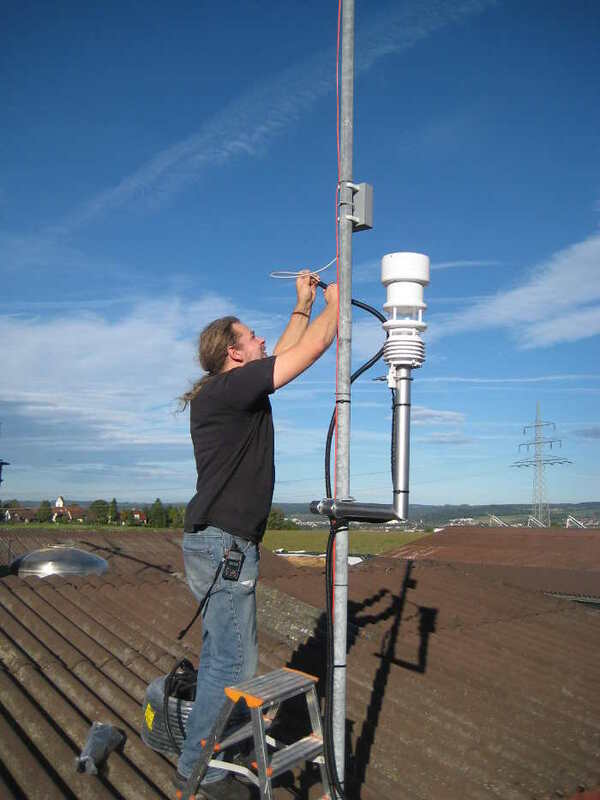 The location is also very good for a weather station. 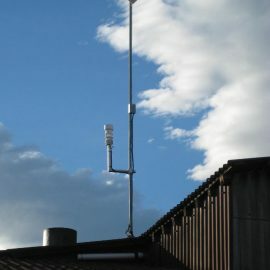 A professional weather station brings a lot of opportunities in terms of handicrafts and weather information. Also the property owner is interested in weather information. However, we weren’t able to obtain any professional station with our budget. Through a television report, I became aware of the company Lufft. My request to the company to support us was answered positively. 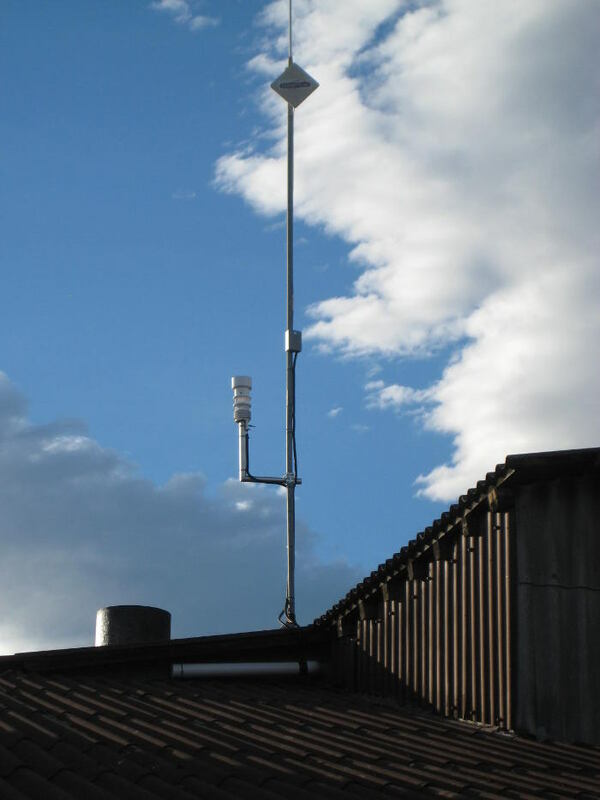 The installed Lufft WS601-UMB compact weather sensor now provides information about ambient temperature, relative humidity, air pressure, wind direction, wind speed and precipitation and thus covers many environmental parameters in a single housing. 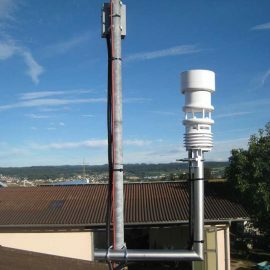 One of our club members, Alexander Hepperle (you can see him pictured above to the left of the weather station), programmed the related software. Since August, the station has been in operation and we are pleased with it every day. Many interested people congratulate us on this great station. Therefore, I want to thank very much again for the friendly assistance of Lufft. 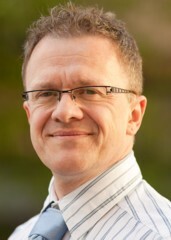 My name is Ernst Steinhauser and I normally work as an IT employee. 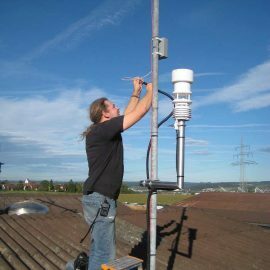 Since 1985 I am a passionate radio amateur with the call sign DL3GBE as well as chairman of the local association of the amateur radio relay site in Ravensburg/ Weingarten, which currently counts 53 members. Our local club consists of technology interested people who are constantly looking for new challenges in radio technology.